Google plans to make Android’s ‘multi-window’ functionality more useful in Android Q. 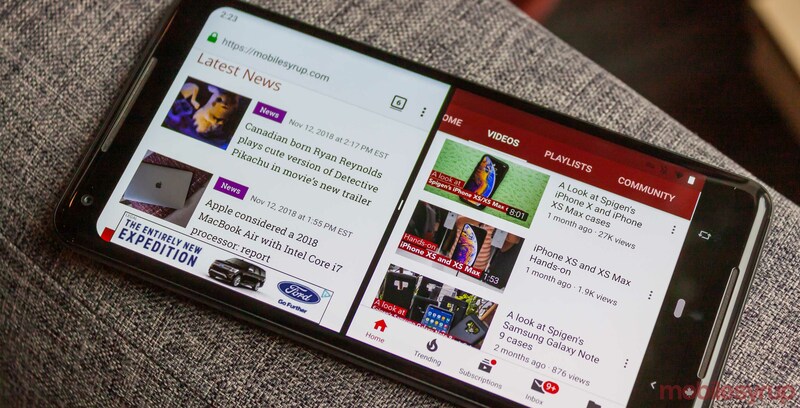 Despite Google’s recommendations on how to properly support the multi-window feature, many app developers didn’t, causing some apps to function incorrectly in split-screen. Issues like videos pausing, messages not coming through and more were present. To fix it, the search giant is working on a feature called ‘multi-resume.’ It would allow for all apps in multi-window to run simultaneously. While some manufacturers, like Samsung, already do this, this will be the first instance of native support for the feature. Further, Google expects the feature will be mandatory behaviour in Android Q. Manufacturers and developers can test it now on Android Pie devices. However, to do so, both the manufacturer and the app have to opt-in. Part of the motivation behind the change comes from Google’s work on supporting foldable devices, which will likely utilize split-screen a lot.